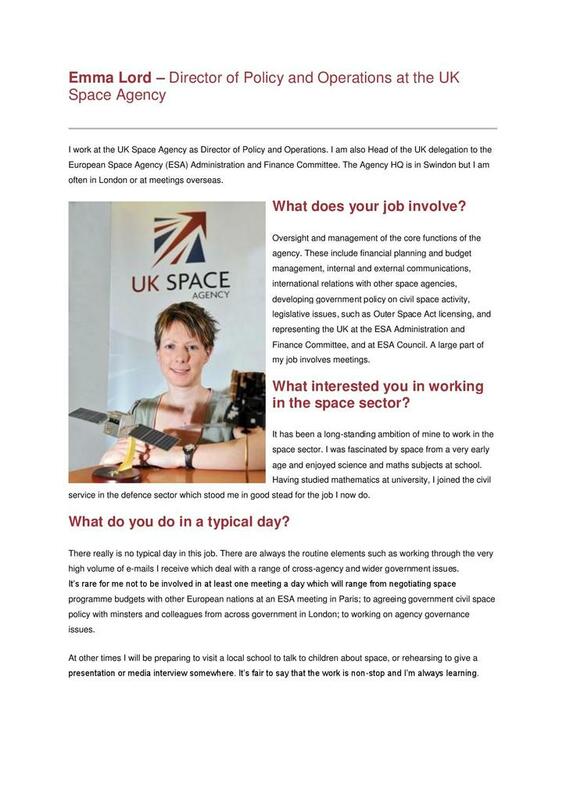 These videos provide an insight into the working lives of seven different space scientists and engineers in the UK. 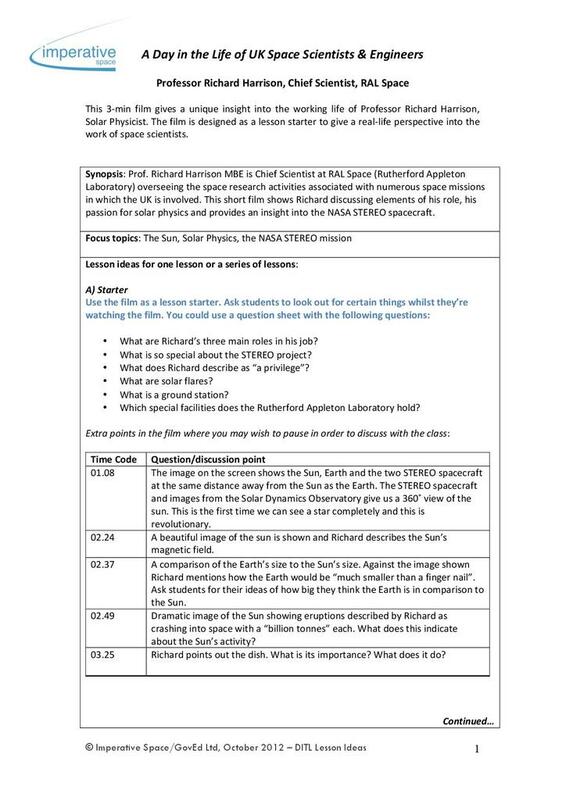 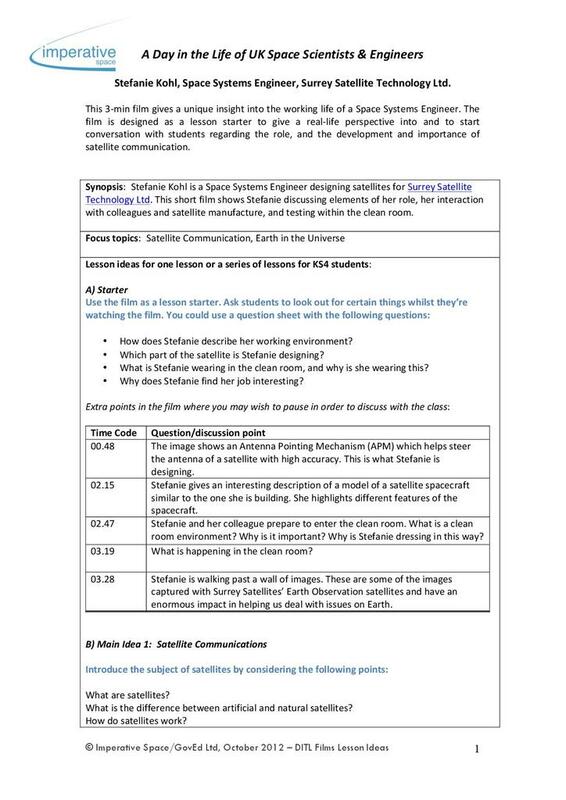 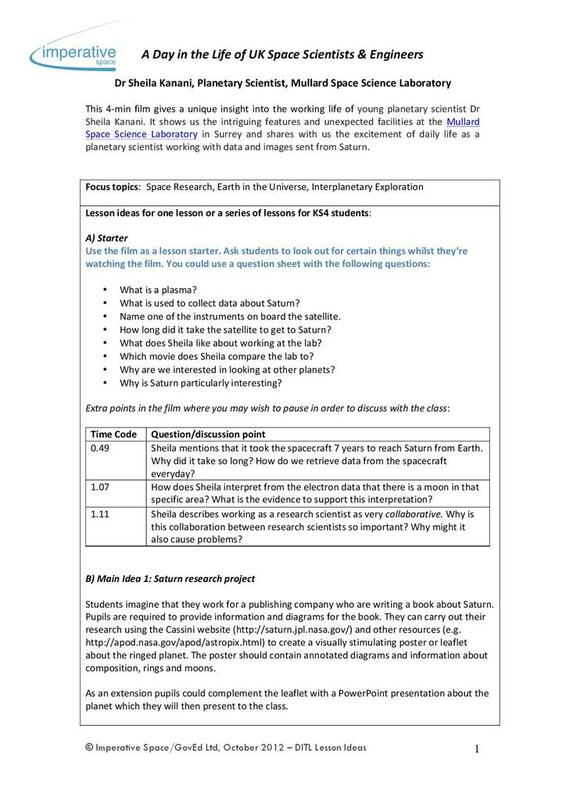 Each video has an associated file with suggested ideas of how you could use the videos in a lesson, posing questions to the students based on the videos and presenting ideas for research projects and class activities. 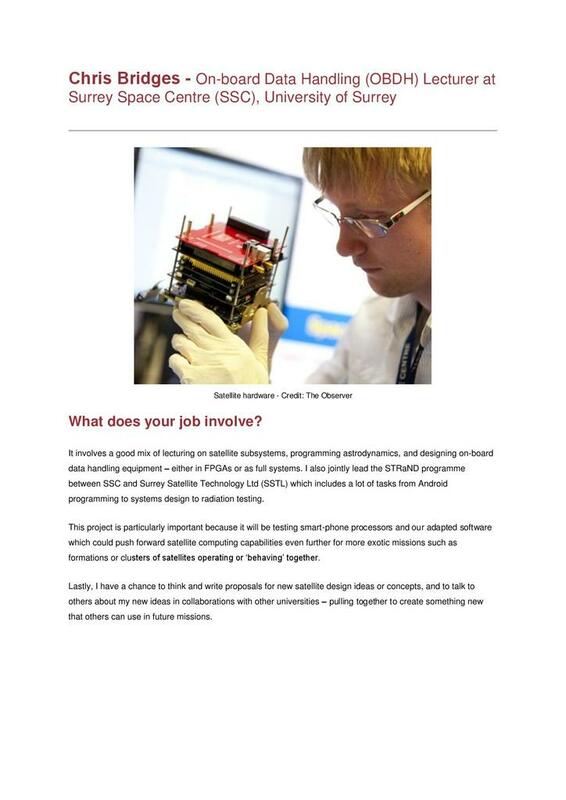 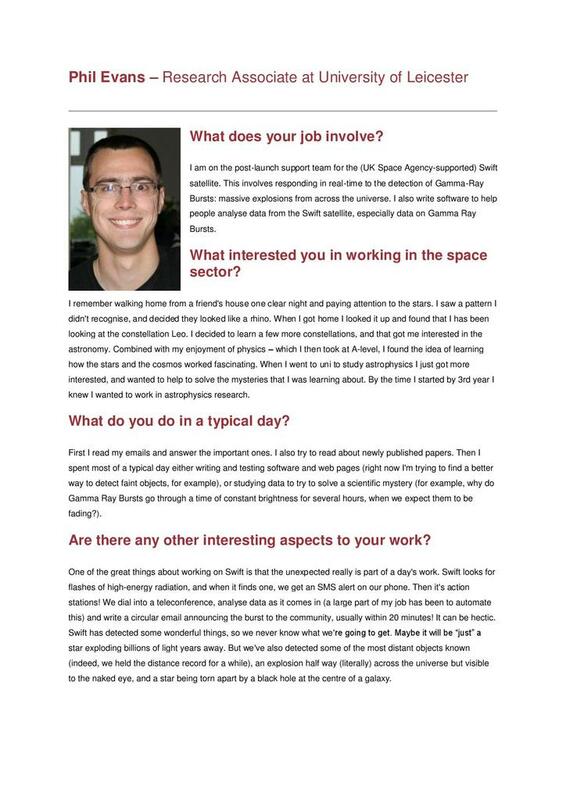 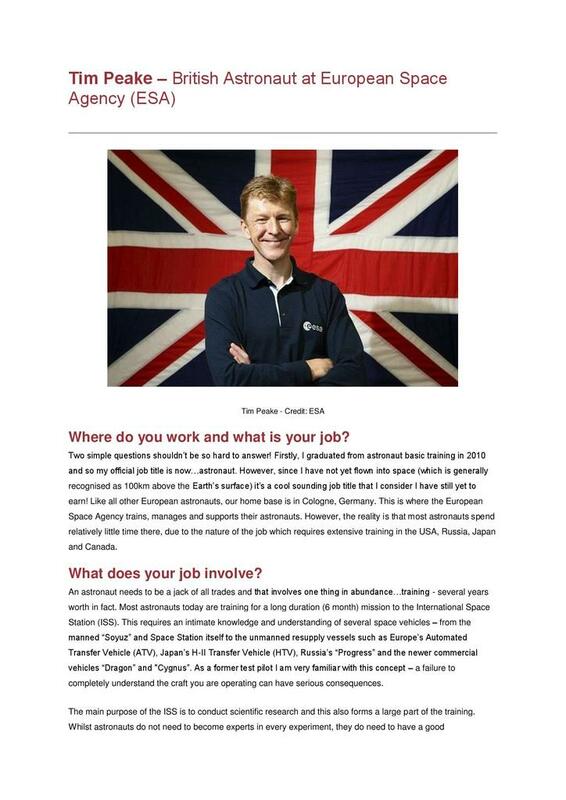 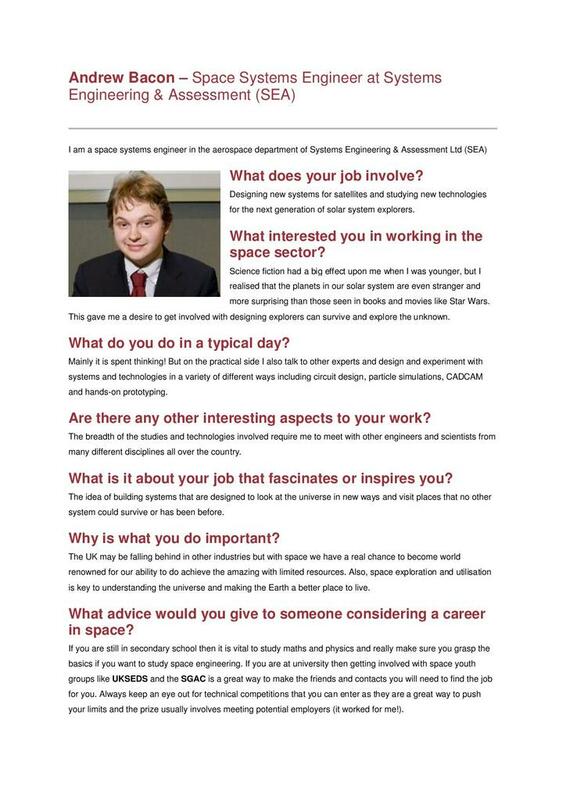 Mat Beardsley is a precision design engineer at RAL Space. 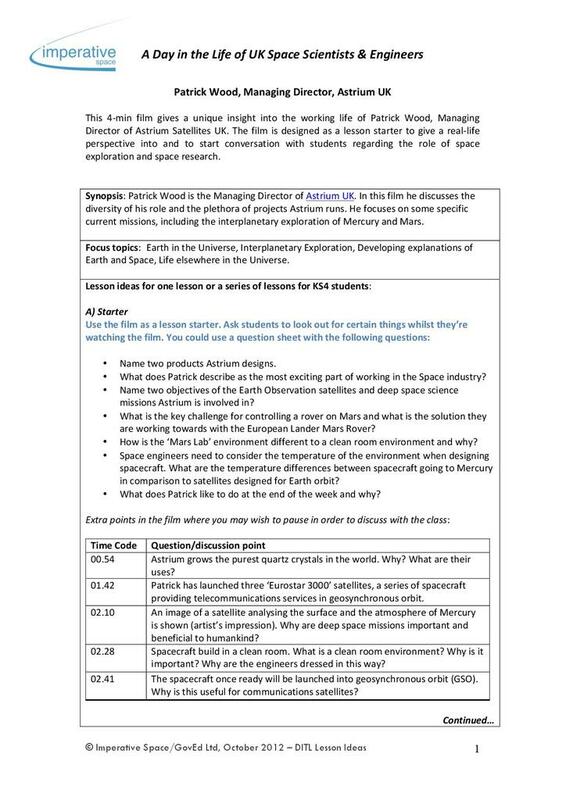 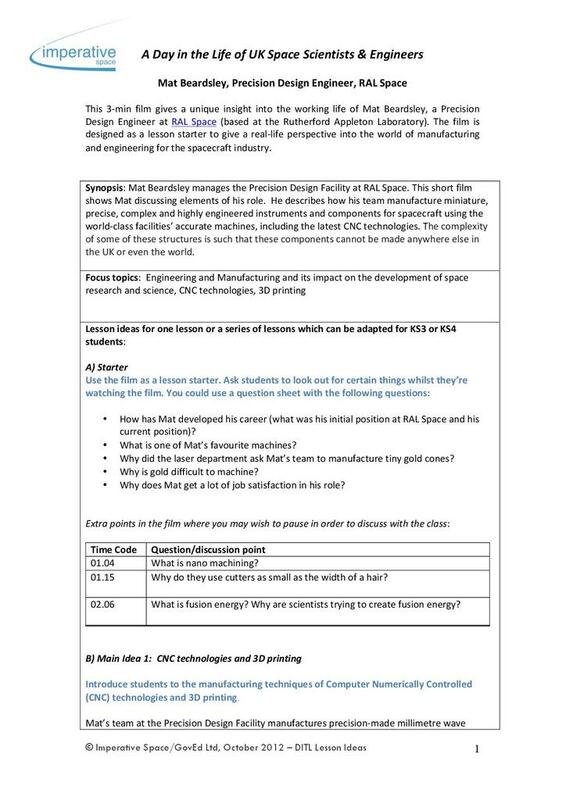 The film is designed as a lesson starter to give a real-life perspective into the world of manfacturing and engineering for the spacecraft industry. 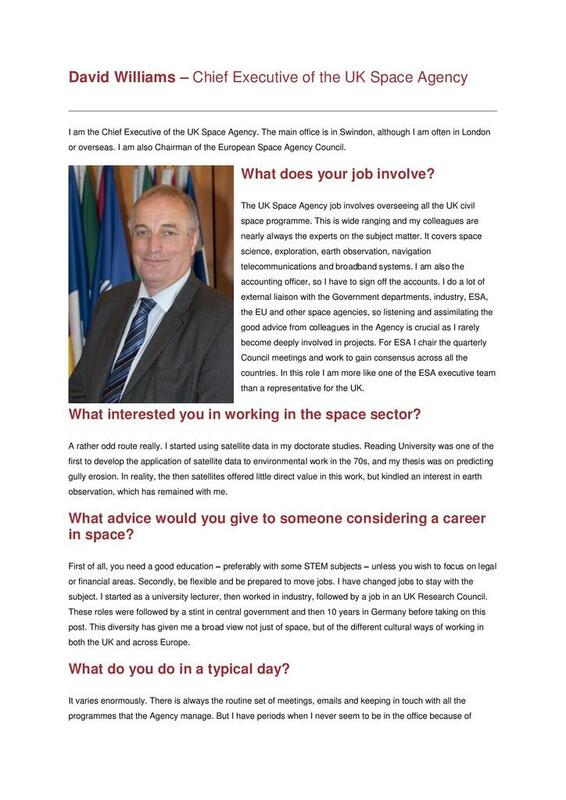 Patrick Wood is the managing director of EADS Astrium Ltd. 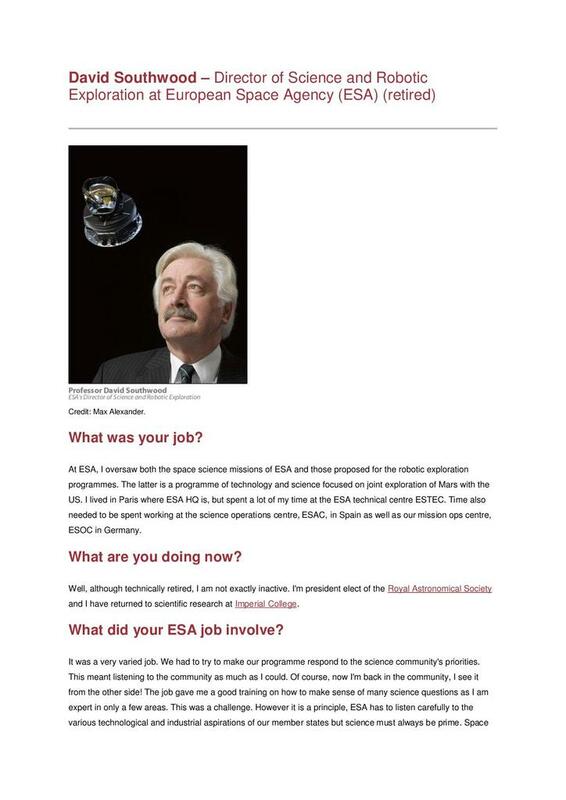 In this video he focuses on some current missions to Mercury and Mars. 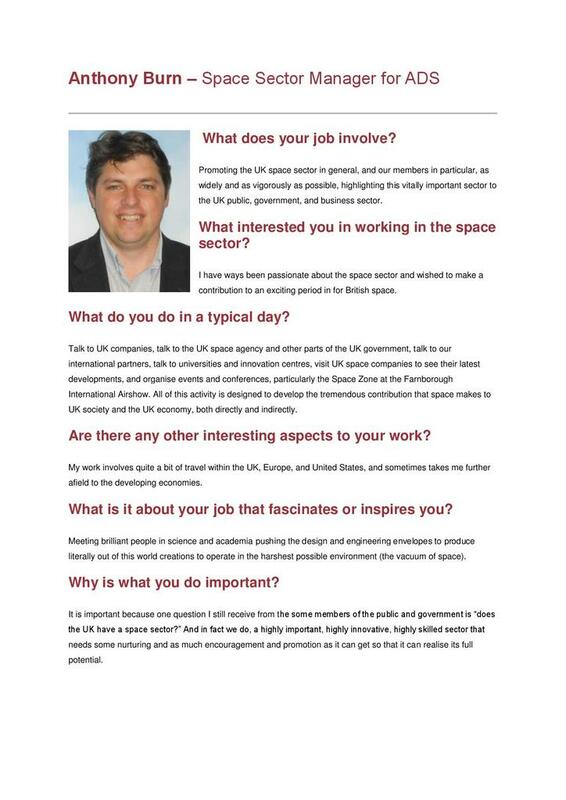 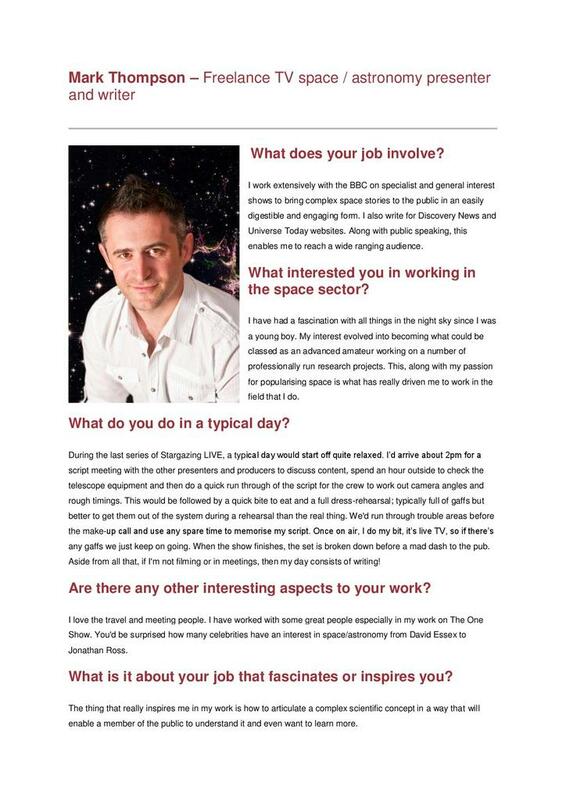 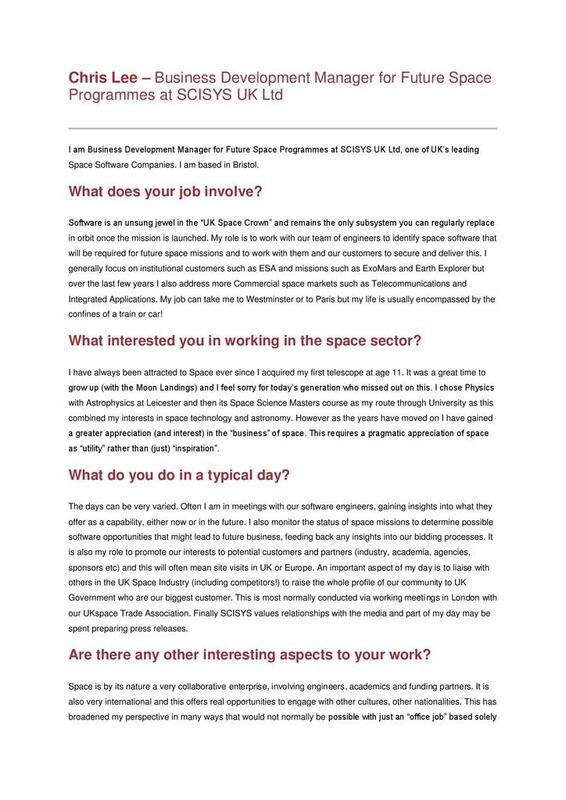 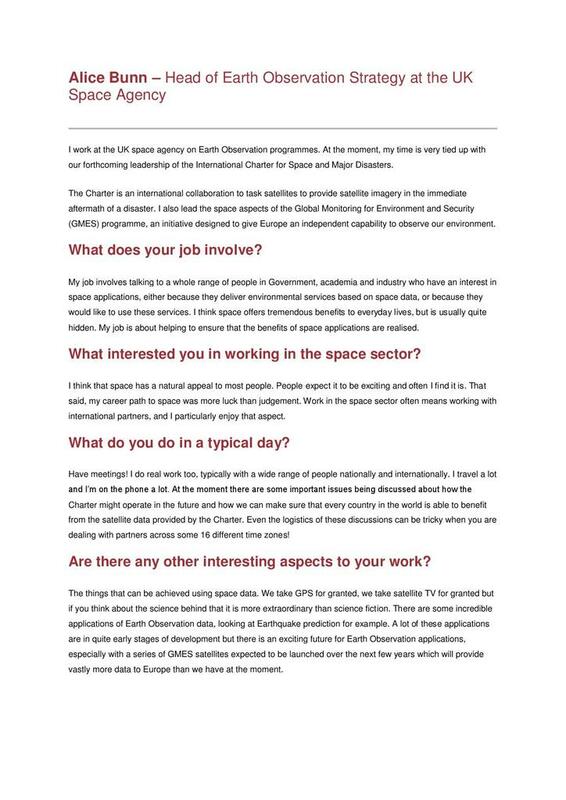 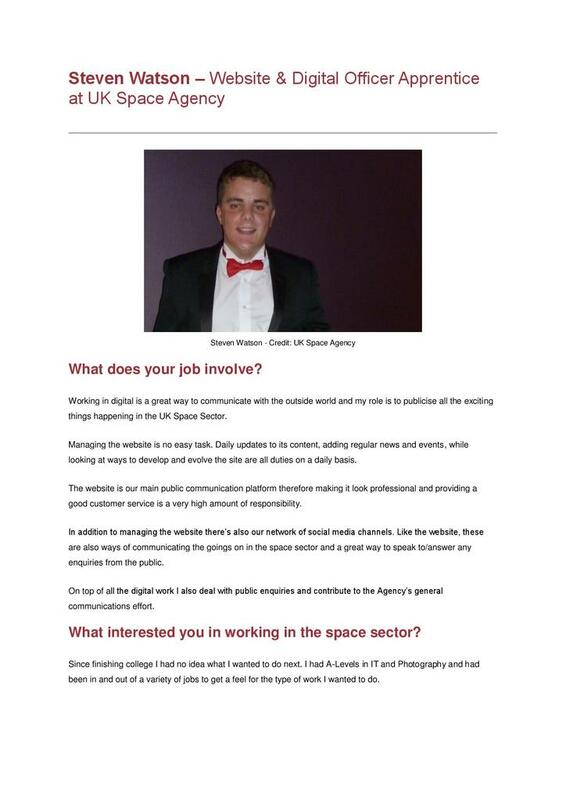 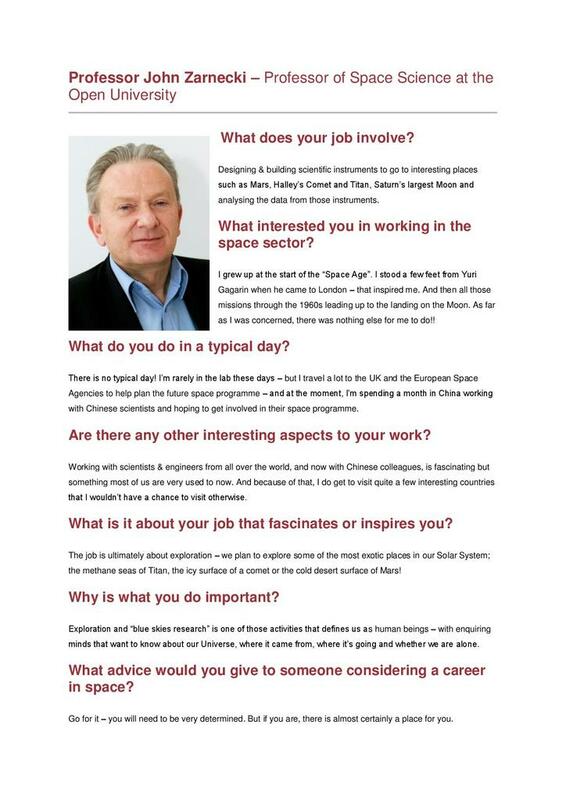 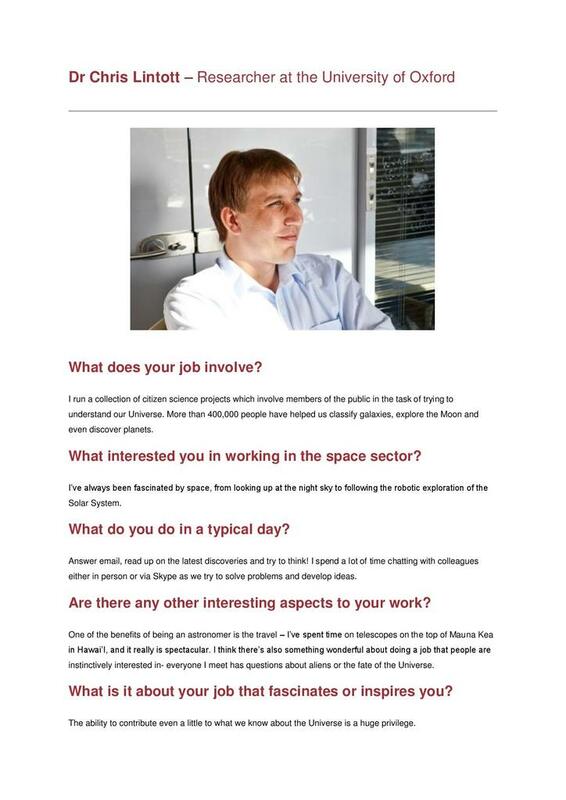 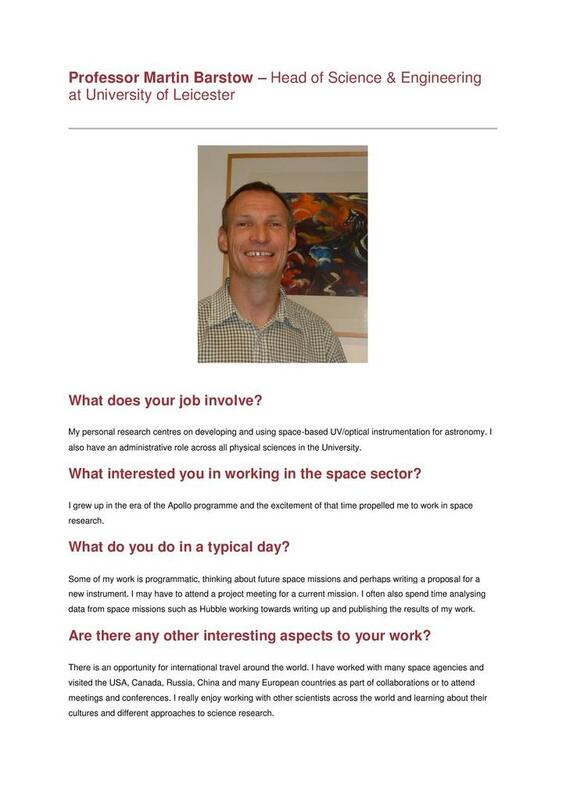 Paul Eccleston is a spacecraft systems engineer at RAL Space. 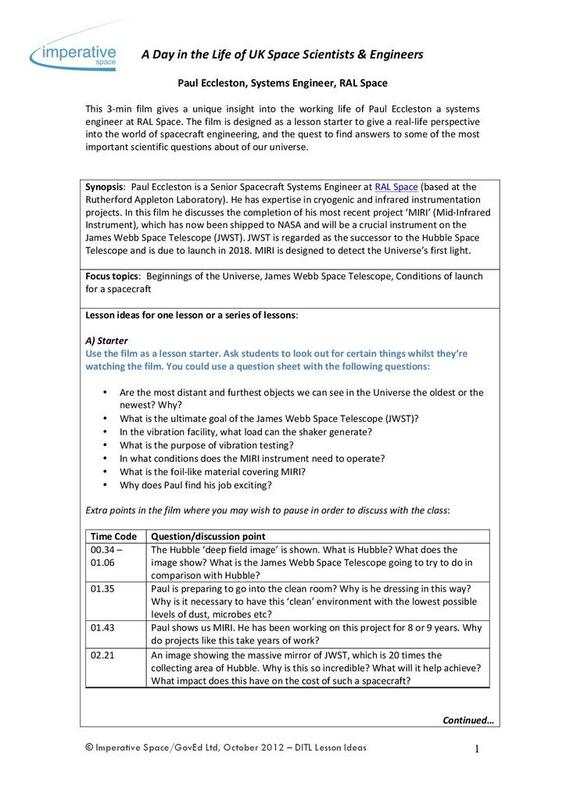 In this film, he discusses the completion of his most recent project, MIRI (Mid-Infrared Instrument), which will be on the James Webb Space Telescope. 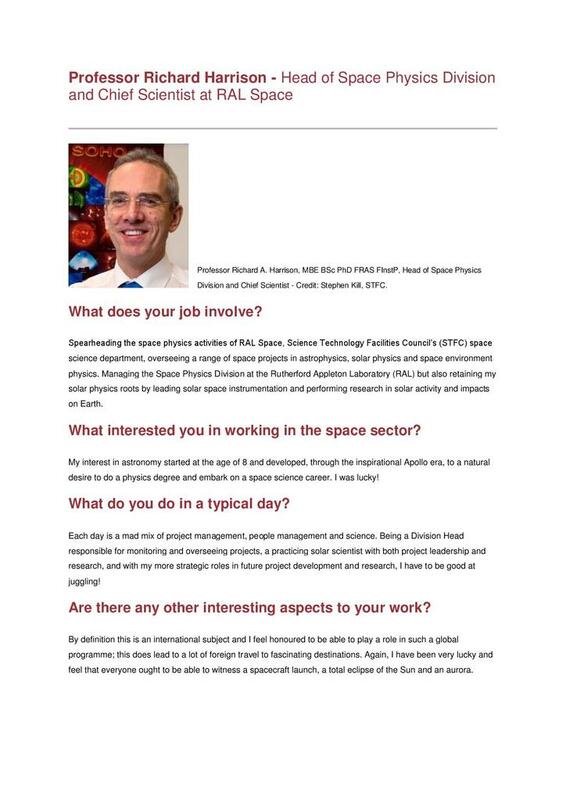 Professor Richard Harrison is Chief Scientist at RAL Space. 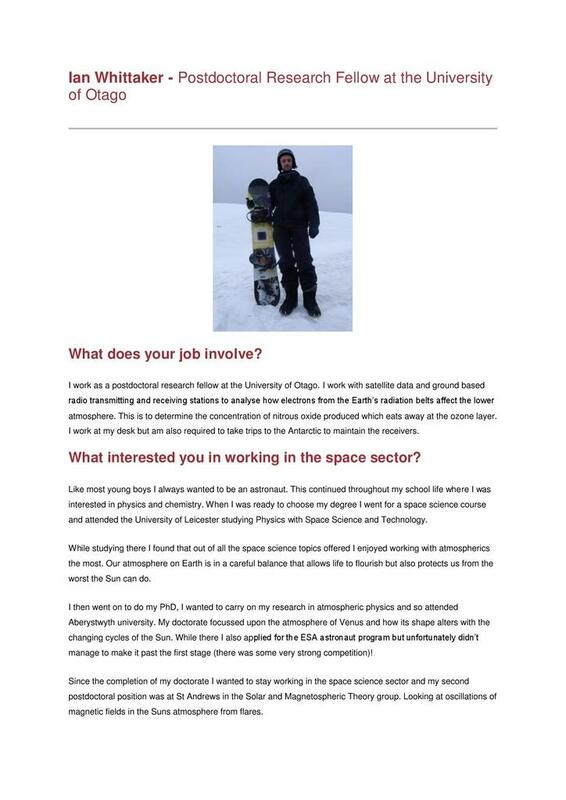 Richard discusses elements of his role, including his passion for solar physics and an insight into the NASA STEREO spacecraft. 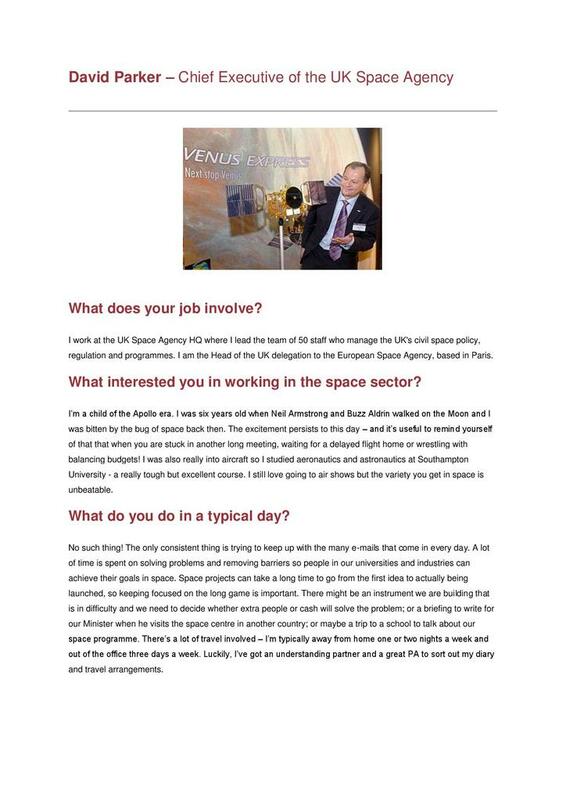 Richard Lowe is Group Manager of Earth Observation Systems at Telespazio VEGA UK. 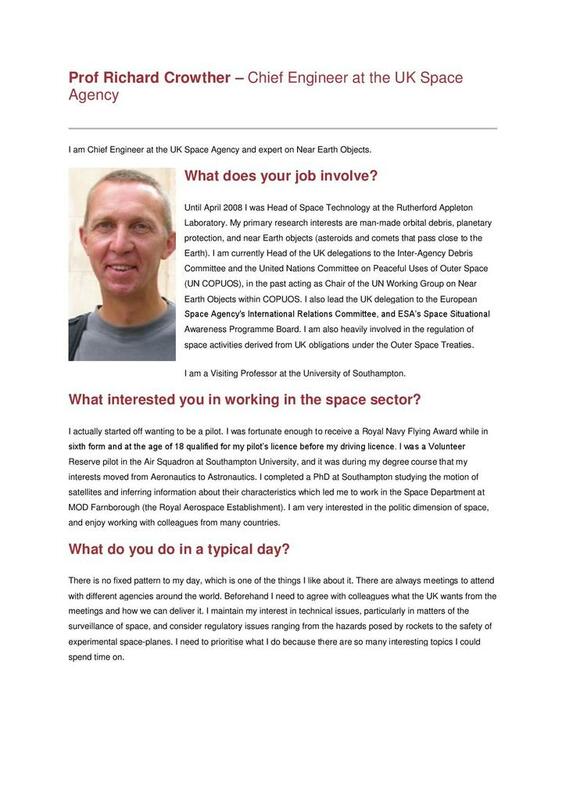 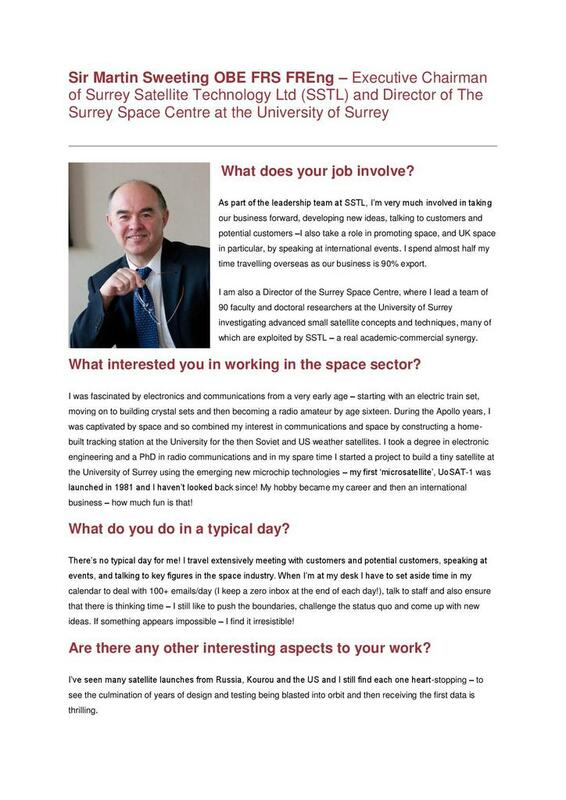 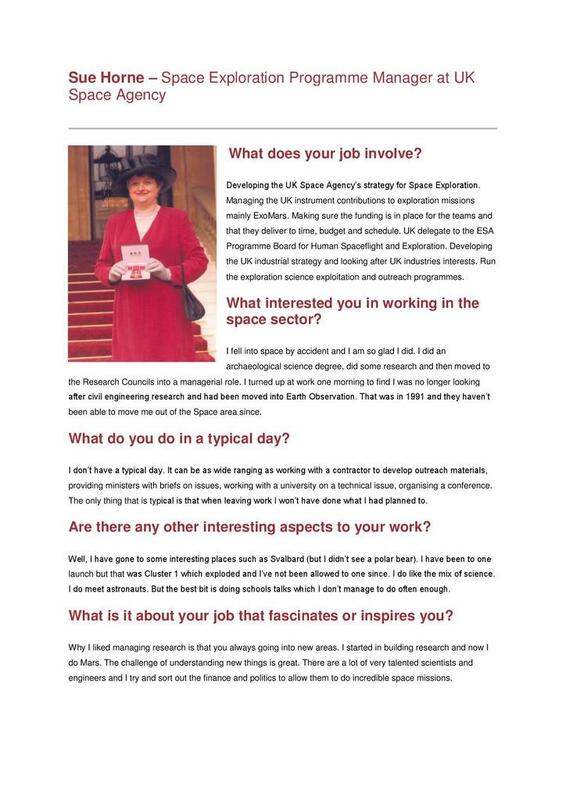 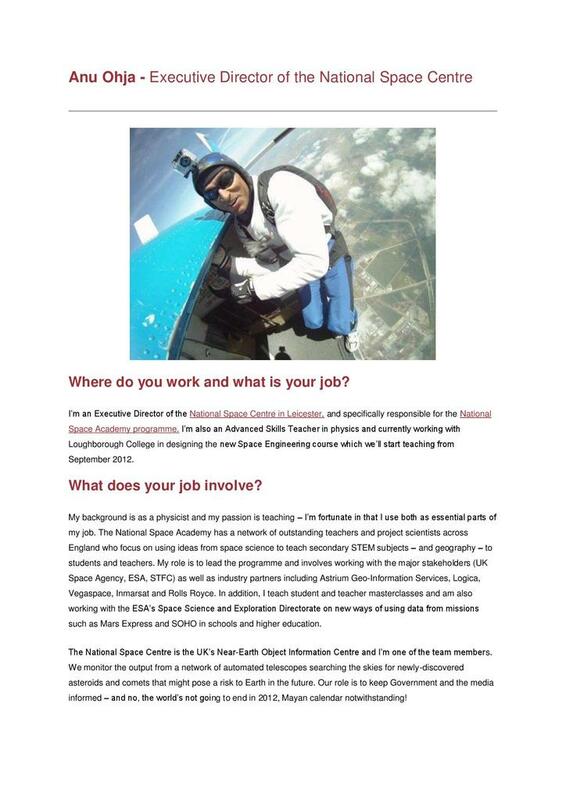 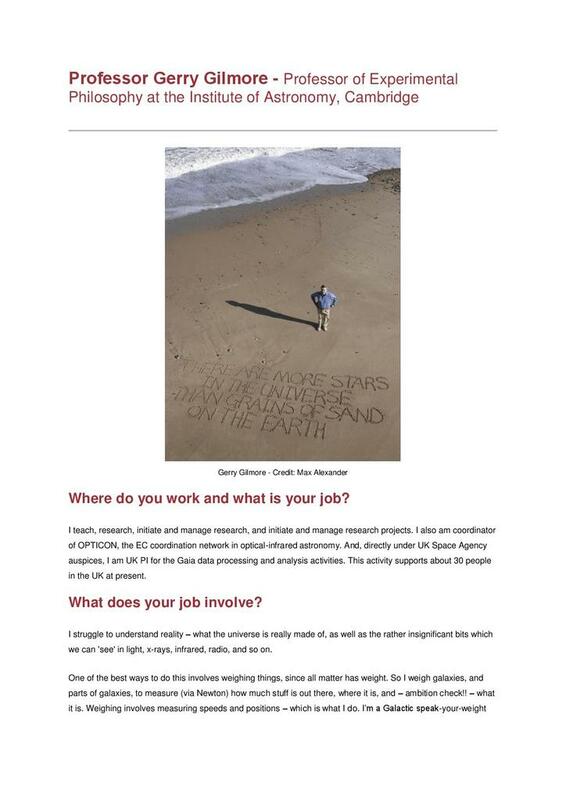 Richard discusses his day to day job, his interaction with his colleagues and the facilities at the International Space Innovation Centre (ISIC). 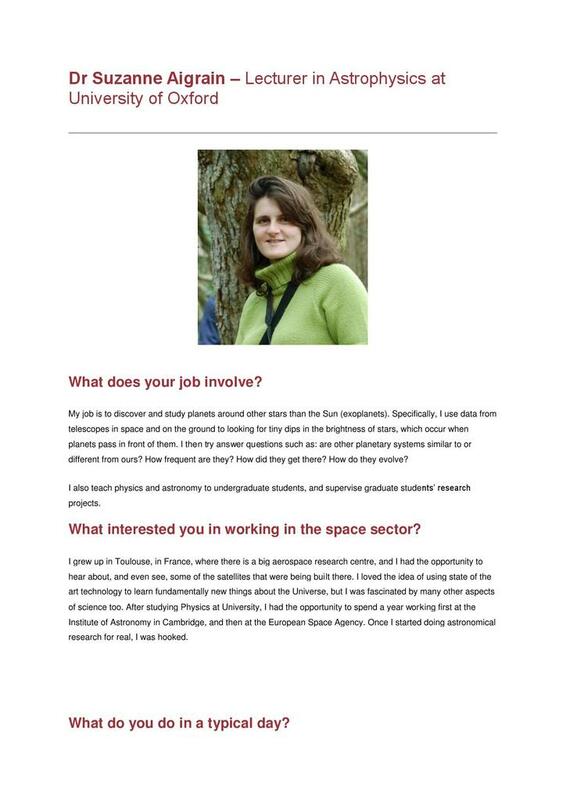 Dr Sheila Kanani is a planetary scientist. 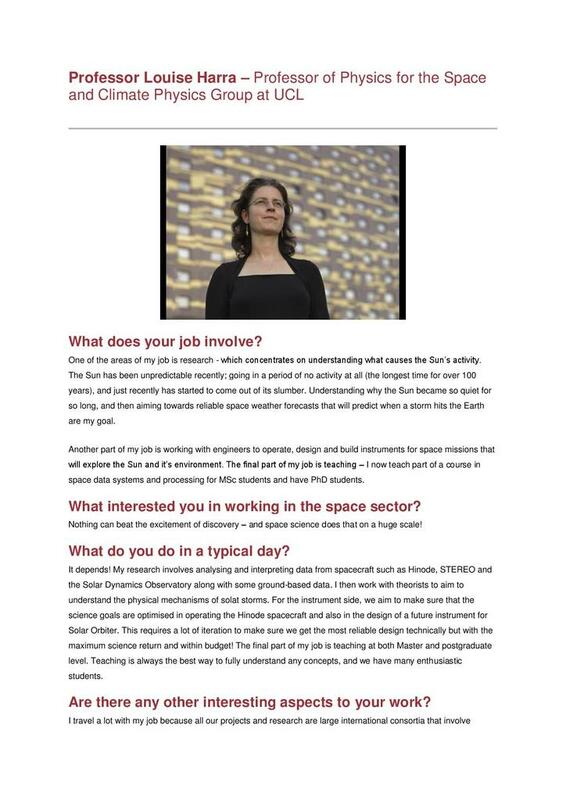 Sheila gives us a tour of the Mullard Space Science Laboratory (MSSL), in Surrey, and shares the excitement of daily life as a planetary scientist working with data and images from Saturn. 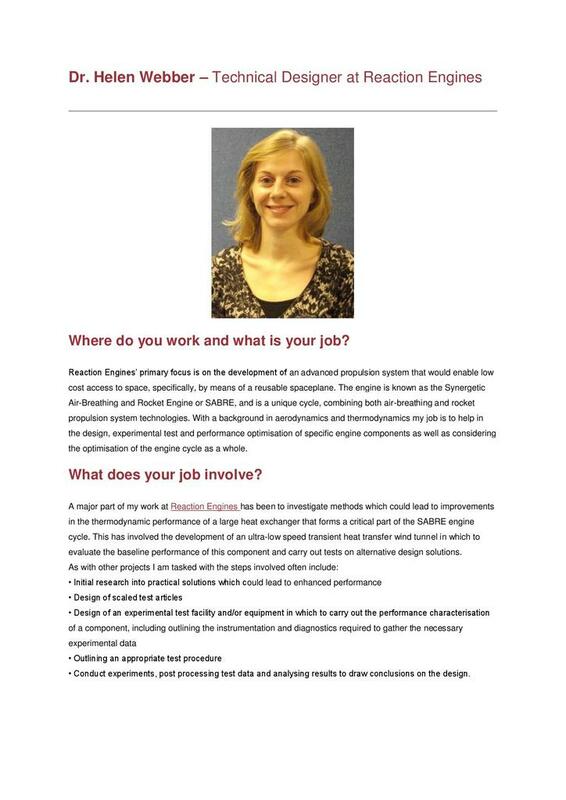 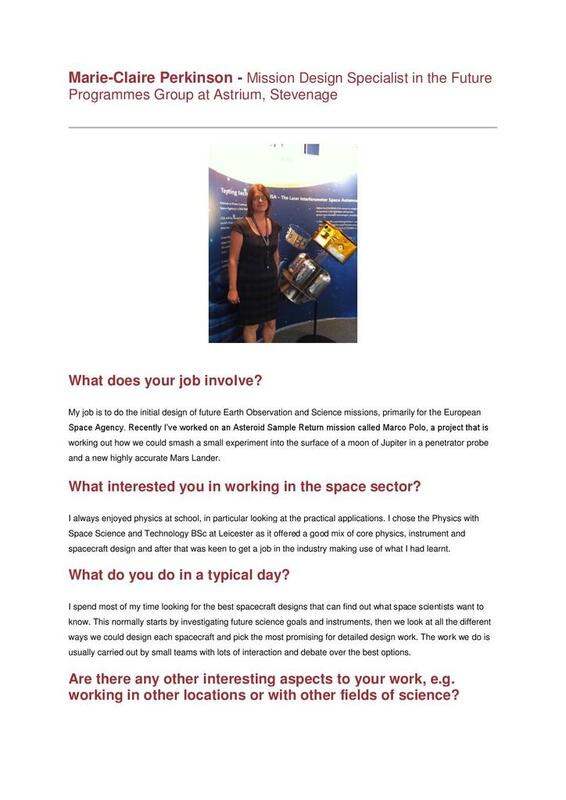 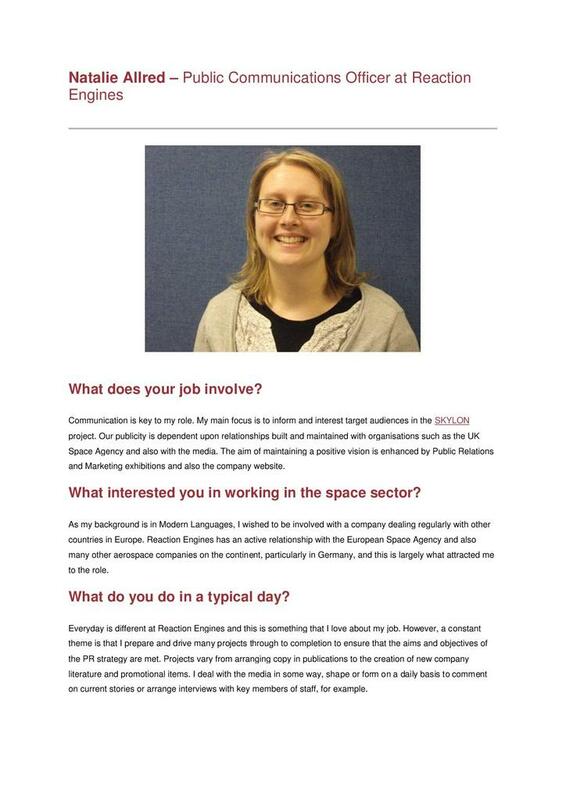 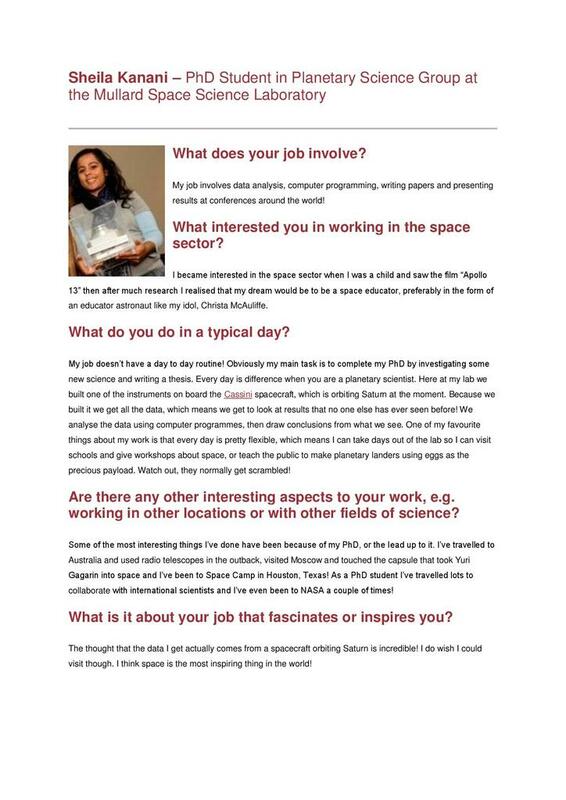 Stefanie Kohl is a space systems engineer designing satellites for Surrey Satellite Technology Ltd. 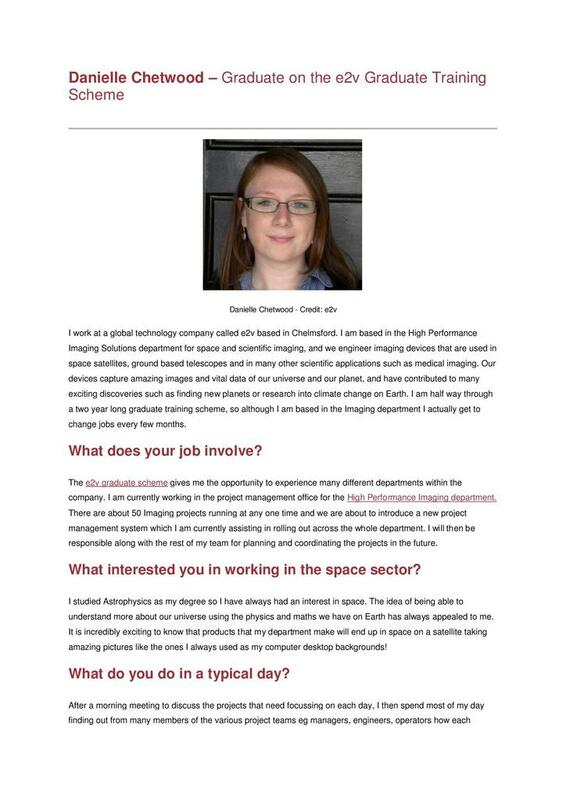 The film shows Stefanie discussing elements of her role, her interaction with colleagues and satellite manufacture and test. 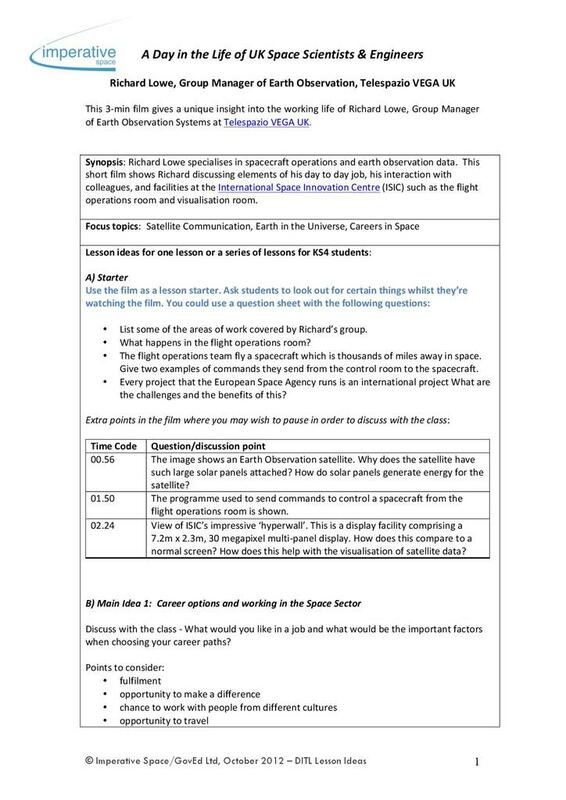 The videos and resources were all produced by Imperative Space.